Michael Bae Jordan shared an image from his debut in Coach’s spring 2019 campaign on Wednesday. He was named the first global face of Coach menswear last fall. The Creed II star stated that the campaign was shot by fashion photographer Craig McDean, who has captured portraits of Rihanna, Daniel Kaluuya and Mahershala Ali. The images are set in a Los Angeles desert and show Jordan sitting on a vintage car wearing items from the upcoming collection, including the Rivington Backpack and MA-1 flight jacket. 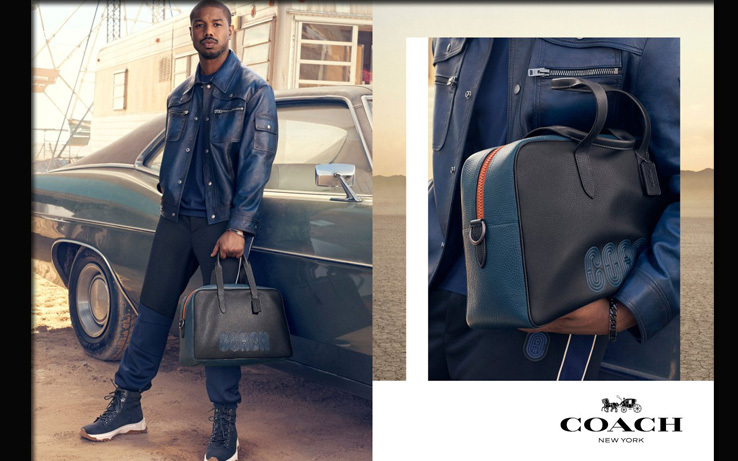 According to a press release, the Hollywood actor and producer will also star in Coach’s campaign for its men’s fragrance collection.